Regulation and supervision of banks and non-bank financial. promotion and development of domestic financial markets. The banking system of Bangladesh is dominated by the 4 Nationalized Commercial Banks In which 3 is totally controlled by government and 1 (Rupali Bank) bank is controlled by both government and private sector. , which together controlled more than 54% of deposits and operated 3388 branches (54% of the total) as of December 31, 2004. Sonali Bank is a state-owned commercial bank in Bangladesh. It is the largest bank of the country. A fully state-owned enterprise, the bank has been discharging its nation-building responsibilities by undertaking government entrusted different socio-economic schemes as well as money market activities of its own volition, covering all spheres of the economy. Sonali Bank Limited singularly enjoys the prestige of being the agent of the Central Bank of Bangladesh in such places where the guardian of the money market has chosen not to act by itself. Agrani Bank is a state-owned commercial bank of Bangladesh established in 1972. Its headquarter is situated at Motijheel in Dhaka, the capital city of Bangladesh. Agrani Bank Limited, a leading commercial bank with 867 outlets strategically located in almost all the commercial areas throughout Bangladesh, overseas Exchange Houses and hundreds of overseas Correspondents, came into being in 1972 immediately after the emergence of Bangladesh as an independent state. It started functioning as nationalized commercial bank taking over assets and liabilities of the erst while Habib Bank ltd and commerce Bank ltd. functioning in the East Pakistan. It has been privatized on 15th November 2007 and emerged as Agrani Bank Limited (ABL) taking over assets, liability and goodwill of Agrani Bank. The authorized capital of the Bank is Tk. 800 crore. Rupali Bank is a commercial bank in Bangladesh. It was established as a nationalized bank in 1972 under the Bangladesh Banks Nationalization Order, through the amalgamation of the branches of Muslim Commercial Bank, Australasia Bank and Standard Bank that were operating in East Pakistan, following the 1971 Bangladesh Liberation War. The bank was denationalised in 1986, and reorganized as a limited company, with the Government of Bangladesh holding 51% shares. However, after the year 2000, the Government divested of its shares, and the privatization of the bank was complete. Immediately after the emergence of Bangladesh in 1971, the erstwhile United Bank Limited and Union Bank Limited were renamed as Janata Bank. Janata Bank Limited operates through 872 branches including 4 overseas branches at United Arab Emirates. It is linked with 1202 foreign correspondents all over the world. The Bank employs more than 13(Thirteen) thousand persons.The Board of Directors is composed of 13 (Thirteen) members headed by a Chairman. The Directors are representatives from both public and private sectors. AB Bank Limited, the first private sector bank was incorporated in Bangladesh on 31st December 1981 as Arab Bangladesh Bank Limited and started its operation with effect from April 12, 1982.AB Bank is known as one of leading bank of the country since its commencement 29 years ago. AB bank has 78 branches. BRAC Bank started its journey in 2001 and in just 10 years proved to be country’s fastest growing bank.Today, the bank has 81 Branches, 22 SMEServiceCenters, 48 SME/Krishi Branches, more than 250 ATMs and 405 SME Unit offices across the country. It has disbursed over BDT 14,500 cores of SME loan and has over 1,200,000 individual customers who access online banking facilities. Its services cuts across all strata of clientele are it corporate, retail or SME. Eastern Bank Ltd. (EBL) began its journey in 1992. Over the years EBL has established itself as a leading private commercial bank in the country .The customers are served through a network of 54 Branches, 100 ATMs and 16 Kiosks countrywide. EBL has its presence in 11 major cities/towns in the country including Dhaka, Chittagong, Sylhet, Khulna, Rajshahi & Cox’s Bazar. Dutch-Bangla Bank The Electronic-Banking Division was established in 2002 to undertake rapid automation and bring modern banking services into this field.Dutch-Bangla Bank started operation is Bangladesh’s first joint venture bank. The bank was an effort by local shareholders spearheaded by M Sahabuddin Ahmed (founder chairman) and the Dutch company FMO. The bank has 1742 ATM. Fast Track 101, Branches 103. PUBALI BANK LIMITED is the largest Commercial Bank in Private Sector in Bangladesh. The Bank was initially emerged in the Banking scenario of the then East Pakistan as Eastern Mercantile Bank Limited at the initiative of some Bangle entrepreneurs in the year 1959 under Bank Companies Act 1913. After independence of Bangladesh in 1972 this Bank was nationalized as per policy of the Government and renamed as Pubali Bank. The has 401 branches all over in Bangladesh. During the last 5 years the growth rate of bank’s earnings is more than 25% on average. The Bank was incorporated as a public limited company under the Companies Act. 1994. The Bank started its commercial operation on July 05, 1995 with an authorized capital of Tk. 1,000 million and paid up capital of Tk. 100 million The Bank has 62 Branches, 3 SME Service Centers, 6 CMS Units, 2 Offshore Banking Unit across the country and a wide network of correspondents all over the world. The Bank has plans to open more Branches in the current fiscal year to expand the network. Uttara Bank Limited has a glorious history as a private commercial bank which was established in 1965 under the name “Eastern Banking Corporation Limited”, it was nationalized in March, 1972 and given the name “Uttara Bank”. The Bank again in 1983 was denationalized and made a commercial bank in the private sector under the name “Uttara Bank Limited”. The Bank was incorporated as a banking company on June 29, 1983 and obtained business commencement certificate on August 21, 1983. The Bank floated shares in the year 1984.UBL is one of the largest private banks in Bangladesh.211 branches at home and 600 affiliates worldwide create efficient networking. Total number of employees nearly 3,562.The Chairman of the bank is Mr. Azharul Islam .The Board of Directors consists of 13 members. IFIC Bank Limited was set up at the instance of the Government in 1976 as a joint venture between the Government of Bangladesh and sponsors in the private sector with the objective of working as a finance company within the country and setting up joint venture banks/financial institutions aboard. In 1983 when the Government allowed banks in the private sector, IFIC was converted into a full fledged commercial bank. The chairman of IFIC Bank is Mr. Salman F Rahman. The banks have 99 Branches. National Bank Limited Established as the first private sector bank fully owned by Bangladeshi entrepreneurs on March 28, 1983. NBL at present we have 145 branches under our branch network. It was possible to a record growth of 175.51 percent with Tk. 8,809.40 million pre tax profits in the year under review over the preceding year. The Chairman of NBL is Mr. Zainul Haque Sikder. Total capital as on December 31, 2010 was Tk. 19,190.79 million and capital adequacy ratio was 12.29 %. Maintenance of adequate capital enhanced the Bank’s single borrower’s exposure limit up to a high level to cope with the corporate customers demand. Sponsored by some dynamic and reputed entrepreneurs and eminent industrialists of the country and also participated by the Government, UCB started its operation in mid 1983 and has since been able to establish one of the largest UCB started its operation in mid 1983 and has since been able to establish one of the largest networks of 110 branches among the first generation banks in the private sector. The Chairman Mr. Akhtaruzzaman Chowdhury, MP United Commercial bank Limited has been rated A+ in Long Term and ST-2 in Short Term Rating. Prime Bank Limited was incorporated in 1992 by one of the leading business houses of Kenya. The bank has 97 branches in Bangladesh. Prime bank get 7th victory in a row Best Bank award by ICAB. IT ALSO WINS 1ST PRISE IN 11TH ICAB NATIONAL AWARD. Southeast Bank Limited was established in 1995. The incumbent Chairman of the Bank is Mr. Alamgir Kabir. The bank has 79 branches in Bangladesh Southeast Bank takes pride for bringing women into the banking profession in a significant number for gender equality. At present, 32% of SEBL’s employees are women that will rise to 45% over the next five years. Social Islami Bank Limited was founded in 1995 and is headquartered in Dhaka, Bangladesh. The company was formerly known as Social Investment Bank Limited and changed its name to Social Islami Bank Limited on August 18, 2009. The banks have 79 branches in Bangladeshi the Non-formal non-corporate sector, it would, among others, involve in cash Waif Certificate and development and management of WAQF and MOSQUE properties, and Trust funds. Standard Bank Limited (SBL) was incorporated as a Public Limited Company on May 11, 1999 under the Bankes Act, 1994 and the Bank achieved satisfactory progress from its commercial operations on June 03, 1999.The chairman of the bank is Mr. Kazi Akramuddin Ahamed. Standard Bank Limited has 61 branches. Export Import Bank of Bangladesh Limited was established in the year 1999 under the leadership of Late Mr. Shahjahan Kabir, Founder Chairman. At least 2% of our annual profit of every year is put aside for the foundation to conduct Corporate Social Responsibilities(CSR) activities. § Import financing basically refer to post import financing. LC is only pre import services. The Company was incorporated on September 29, 1999 under the Bankes Act 1994 as a public company limited by shares for carrying out all kinds of banking activities with Authorized Capital of Tk. 38,00,000,000 divided into 38,000,000 ordinary shares of Tk.100 each. The Company (Bank) operates through its Head Office at Dhaka and 71 branches. The Company/ Bank carries out international business through a Global Network of Foreign Correspondent Banks. First Security Islami Bank Limited (FSIB) was incorporated in Bangladesh on 29 August 1999 as a banking company under Companies Act 1994 to carry on banking business. the bank has 75 branches of which 29 branches are in Dhaka Division, 26 branches are in Chittagong Division, 07 branches are in Sylhet Division, 03 branches are in Rajshahi Division, 02 branches are in Rangpur Division, 06 branches are in Khulna Division and 02 branch is in Barishal Division. The Premier Bank Limited was incorporated in June 10, 1999 under the company Act- 1994 With the Registrar of Joint Stock Companies under the Bankes Act. 1991. The banks have 48 branches in all over in Bangladesh. The Board consist of 15 (Fifteen) Directors. Out of 15 members, one is from Taiwan. Trust Bank Limited is one of the leading private commercial banks having a spread network of 55 branches, 7 SME centers, 51 ATM Booths and 45 Branch. The bank, sponsored by the Army Welfare Trust (AWT), is first of its kind in the country. Trust Bank has been operating in Bangladesh since 1999 and has achieved public confidence as a sound and stable bank. Jamuna Bank Limited (JBL) is a Banking Company registered under the Bankes Act, 1994 with its Head Office at Chini Shilpa Bhaban, 3, Dilkusha C/A, Dhaka-1000. The Bank started its operation from 3rd June 2001. Jamuna Bank is now running 10th year. The 74 Branches are available overall in Bangladesh. Citibank N.A. started its operations by opening a representative office in Bangladesh in 1987 and started its full-service branch in Dhaka in 1995.It now has 4 branches, 4 service outlets and employs over 180 people. Citi’s clients in Bangladesh comprise both public and private sector institutions. Citi is the leading global financial services company with some 200 million customer accounts and does business in more than 140 countries. Citi Bangladesh arranged the world’s first AAA-rated Bank. Standard Chartered was formed in 1969 through a merger of two banks: The Standard Bank of British South Africa, founded in 1863, and the Chartered Bank of India, Australia and China, founded in 1853. Founded in the Cape Province of South Africa in 1862 by John Paterson.In Bangladesh Standard Chartered Bank originally established its first branch in Chittagong in 1948. Today, Standard Chartered Bank is the largest international bank in Bangladesh with 26 Branches, 57 ATMs and 7 Financial Kiosks; employing over 1,300 people. The birth of Com Bank roots back to 1920s’ during the British colonial regime when trade, commerce and enterprises like Banks opened up in Sri Lanka. In 1969 Commercial Bank of Ceylon. CBC has been upgraded to ‘AAA’ (Triple A) by CRISL for long term and was also reaffirmed ‘ST-1’ for short term based on the financial of 2010. Previously CBC had been awarded AA+ for three consecutive years. In 2003, CBC acquired Credit Agricole Indosuez’s two branches in Bangladesh at Dhaka and Chittagong Over the period of last 7 years of operation in Bangladesh, CBC has expanded its branch network to 7 branches, 2 booths, 2 specialized OBU sections in Dhaka(Dhanmondi) and Chittagong(CEPZ) and 6 SME centers in Bangsal Road(Dhaka), Progati Sharani(Dhaka), Shantinagar(Dhaka), Tongi (Dhaka), Jubilee Road(Chittagong) and CDA Avenue (Chittagong). Unique products and services, superior service quality and efficient and customised solutions to the requirements of corporate and personal banking customers are hallmarks of the successful stride of CBC in Bangladesh.Mr. S Prabagar is the Chairman. State Bank of India (SBI) Founded 1 July 1955 Headquarters Mumbai, Maharashtra, India Area served Worldwide is the largest Indian banking and financial services company (by turnover and total assets) with its headquarters in Mumbai, India. It is state-owned. The bank traces its ancestry to British India, through the Imperial Bank of India, to the founding in 1806 of the Calcutta. Profit of the bank is 11,179.94 corers (US$2.27 billion) (2011).As of 31 December 2009, SBL started in Dhaka. Habib bank Founded at Mumbai in 1941. Headquarters Habib Bank Plaza, Karachi, Pakistan Products Loans, credit cards, Savings, Consumer Banking etc .In 1976 HBL opened a branch in two branches in Bangladesh. National Bank of Pakistan is the largest commercial bank operating in Pakistan. Its balance sheet size surpasses that of any of the other banks functioning locally. It has redefined its role and has moved from a public sector organisation into a modern commercial bank. The Bank’s services are available to individuals, corporate entities and government. National Bank of Pakistan (NBP) a banking company incorporated in Pakistan. It commenced banking operations in Bangladesh as a foreign commercial bank on 31 August 1994 with a total paid up capital of Tk 100 million. Grameen Bank Project was born in the village of Jobra, Bangladesh, in 1976. In 1983 it was transformed into a formal bank under a special law passed for its creation. It is owned by the poor borrowers of the bank who are mostly women. As founder of the Grameen Movement, Professor Muhammad Yunus is a revolutionary. His ideas couple capitalism with social responsibility and have changed the face of rural economic and social development forever. The Grameen Bank operates 1,092 branches in 36,000 rural Bangladesh villages, providing credit to over two million of the country’s poorest people in Bangladesh. Since its inception, Grameen has loaned more than US$2 billion. This new banking system of providing unsecured credit to the poorest of the poor began as an action- research project at ChittagongUniversity, and later grew into a full-fledged bank. Grameen Bank’s patrons are 94% women who have an unparalleled repayment rate of 98%. The major occupation of the people of Bangladesh is “Krishi”. The Bengali term Krishi means “Agriculture”. About 85% of the population depends directly or indirectly on agriculture which contributes a significant portion to GDP. Bangladesh Krishi Bank (BKB) has been established under the Bangladesh Krishi Bank order 1973 (President’s Order No 27 of 1973).BKB is a Banking Company under the Banking Company Act-1991. The Chairman of the bank is Khondkar Ibrahim Khaled. The Bank operates its function through its 972 branches (except Rajshahi Division). It has 16 foreign exchange (Authorized dealer) branches. In the field level the Bank has 9 Divisional, 29 Chief Regional and 24 Regional offices for close supervision of the branch activities. The existing strength of Bank’s manpower is 9430 against the approved strength of 13680 as on 31 December, 2010.The Bank has a Board of Directors comprising of 11 members. Getting established in 1973 and many years of struggle, DMCBL today has more than 95 branch offices country-wide. No matter where you are located, DMCBL is never far away from you. A Rickshaw/Van puller can become an owner of a Rickshaw/Van by availing Hire-Purchase Under Shirkatul Meelk (Rickshaw/Van) Investment, first time introduced by DMCBL in Bangladesh. The sprout of Ansar & VDP is a resultant of huge trauma and turmoil in Indian sub continent after Second World War. It was a voluntary social force which came to being as per the demand of the geopolitical tumult as British India faced in the later part of 40s. It was raised in 1948 to rein the galloping deterioration of law and order situation in the then East Pakistan after historical partition of British India. Rajshahi Krishi Unnayan Bank is a state-owned bank in Bangladesh specialized financial institution for financing development of agriculture and its backward and forward linkage industries in the Rajshahi division and Rangpur Division at present of the country. 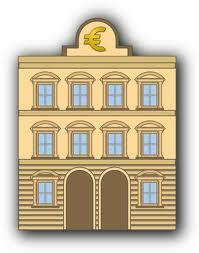 The bank was established on 15 March 1987. The bank emerged as the government’s plan of intensive care to agriculture of Rajshahi division (Rajshahi and Rangpur Division at present) providing livelihood to 35 million people of the area. The region is less developed compared to other parts, yet full of potentials in agriculture. Rajshahi and Rangpur Division characterized by its surplus food grain production is popularly called the “granary of the country”. Besides catering to agricultural credit, RAKUB, as it is acronymed, renders deposit banking services through all the 365 branches. Authorized capital of the bank amounts to Tk 7500 million. Paid-up capital amounts to Tk 5700 million and reserve Tk 208.50 million as on 25 April 2010. BASIC Bank Limited (Bangladesh Small Industries and Commerce Bank Limited) registered under the Bankes Act 1913 on the 2nd of August, 1988, started its operations from the 21st of January, 1989. It is governed by the Banking Companies Act 1991. The Bank was established as the policy makers of the country felt the urgency for a bank in the private sector for financing small scale Industries (SSIs). At the outset, the Bank started as a joint venture enterprise of the BCC Foundation with 70 percent shares and the Government of Bangladesh (GOB) with the remaining 30 percent shares. BASIC Bank Limited is unique in its objectives. It is a blend of development and commercial banks. The Memorandum and Articles of Association of the Bank stipulate that 50 percent of loan able funds shall be invested in small and cottage industries sector. The present chairman of the bank is Mr. Sheikh Abdul Hye Bacchante Bangladesh government initially nationalized the entire domestic banking system and proceeded to reorganize and rename the various banks. From the above discussion its easily understandable that the banking industry of Bangladesh has improved a lot. They provide significant boost in the development process of Bangladesh as well as plays a vital role in the development of business.